Southern Ontario stretches from the city of Windsor in the south west, to breath-taking Niagara Falls in the east, and as far north as the magnificent Bruce Peninsula. This area is an economically stable part of Canada and is a great place to call home, as we have great weather - if you like hot summers and cold, crisp winters, and colourful Autumns that will take your breath away! In this Guide I will focus on the areas around London and St Thomas, and the north shore of Lake Erie, but will include other areas when they have important or interesting activities and information. I want to get the news out - this is a great place to live or to visit! We'd love to show you around the area - I know the movie may take a moment to load, but it's worth the wait! I remember the first time I came to Canada on holiday from the UK, in the summer of 1977, I thought the weather, lifestyle and job opportunities in Southern Ontario were wonderful, the people were so friendly and welcoming, and they still are! On our first Ontario vacation, we loved the vibrant cities of Brantford and London, and the pretty towns of St Thomas with its Railway Museum and Stratford - famous for its annual Shakespeare Festival. The sleepy little villages that we found on our travels through this area enchanted us - the quaint village of Sparta with its well known Artist's studio, Port Stanley on the shore of Lake Erie, the tiny village of Dresden where you will find "Uncle Tom's Cabin Historical Site", and busy St Jacobs where you can take a step back in time and shop at the wonderful Mennonite market. We found holiday accommodation to be affordable, and when we were considering the cost of purchasing a home here, we found that housing here was also well priced. If you are considering emigrating here and are wondering about the weather and the various seasons in Southern Ontario, then check out our Seasons section. Do you wonder what we do in our long winters here? Find out in our Winter section and our Snowmobiling articles to find out what we do for excitement! If you have never been to Ontario before, that's no problem . . . In this guide you'll find information on many interesting places to go and there are lots of things to see and do while you are here. In our Communities section, you will find an overview of each of the larger cities and towns in Southern Ontario. If you are looking for Villages and really small places to visit, look in Favorite Villages. If you are seeking holiday accommodation in the London / St Thomas / Aylmer area during your Ontario vacation, check out our Cottages page and there is also a great choice of holiday rentals in Canada for every interest. There you will find the Sunnybrook Farm Holiday Home in St Thomas which is available for long term rental (1 to 12 months), and also links to other sites offering holiday accommodation. Lake Erie and Lake Huron shores. If you are traveling in Canada, there is an abundance of different types of accommodation from which you can choose - Hotels, Motels, Cabins & Cottages. Bed & Breakfast accommodation is another option for families on holiday, which is gaining in popularity. If you have a community in Southern Ontario that you would like us to add to our site, please use the Contact Us form and we will be happy to add more information to our data base. Come with me and my family, on a journey around the area that is known for it's lush farmland, beautiful lakes and rivers, abundant wild-life and its warm friendly people. Take a walk with me through this guide, as we discover some of the hidden gems of this area, and some of my old favourites! Many years ago, I came to Southern Ontario from England and my husband came here from Holland. Canada has been good to us and we love it here! If you are thinking of moving here, please check out our immigration story in the About Us section. Both my hubby and I have lived in Canada for over 30 years, in St Thomas and also in various places in Ontario, including a Gold mining town in the northern part of the province. 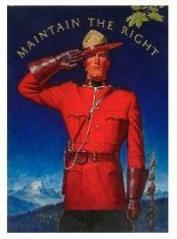 If you are still wondering why you should visit this part of Canada? Or asking yourself if should you move here? What does Southern Ontario have to offer workers or visitors? Would you like to know what there is to do here in the Winter? Come along and explore some of our lovely towns and villages through these pages and discover why my family and I have made this area our home! There is an abundance of Nature and Wildlife to be enjoyed in this area and many Conservation Areas, Provincial Parks and places of natural beauty to see, so check out our pages and come back often! You can find lots of information on the Animals and Wild Birds in Southern Ontario here, including our Game birds, a variety of the Birds of Prey in this area, the many types of local Waterfowl, the common Backyard Birds and our elusive, nocturnal Owls. To those who are visiting our website from other countries, please use the links below to translate these pages into the language of your choice. Thanks to Dreamstime for many of the pictures on this website. The Discover Southern Ontario blog can keep you up-to-date with all additions and changes on the discover-southern-ontario.com website. Subscribe here. Bed and breakfast - becoming more popular around here - here are a few that we have really enjoyed! 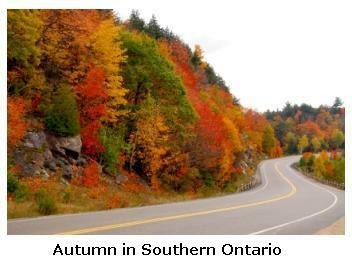 Seasons in Southern Ontario, Amazing Autumn, Wonderful Winter, Splendid Spring! Golf - Southern Ontario Golfing - courses galore! The Stones 'N Bones Museum in Sarnia is an amazing place for young and old! African Lion Safari - a fabulous place to go each year, enjoyed by young and old alike, something for everyone! Horseback riding - listings of Horse Riding stables in Southern Ontario, Horseback-Riding - fun for kids! L'équitation! A Hiking holiday in beautiful Southern Ontario, self-catering accommodation, hiking guide can be arranged, great hiking holiday! St Thomas Real Estate, understanding housing terms in Canada, Southern Ontario real estate Agent, check mls.ca - St Thomas real estate agent John Knowles, honest & working for YOU! 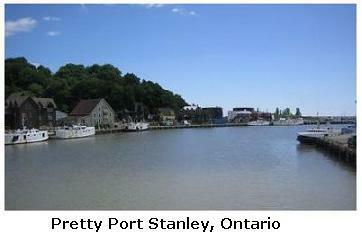 Pretty Port Stanley, fishing village on Kettle Creek, Southern Ontario fishing port - Port Stanley is a popular vacation destination and is affordable! Dalewood, located just just to the north of St Thomas, Dalewood Conservation Area is a great place to get away from it all! Christmas in Canada, a Winter Wonderland of snow, enjoy a Canadian Christmas! The Grey Wolf of Ontario, stealthy hunter, family pack member, the wolf is ..
Coyotes in Ontario, secretive and stealthy, these animals are in Southern Ont ..
Our Photo Contest - Proudly Canadian - open to all! Send us your pictures of ..